I am a singer/songwriter from Mill Cove, NB and I also do some Wilf Carter songs with yodeling. My dad was a Wilf Carter fan and he used to sing and yodel those old Wilf Carter songs. My passion is coming up with a melody and put words to it to create a song that describes feelings or things that happen in a person's life. I enjoy singing those old songs to seniors who love to take that walk down memory lane with me and it is a joy to see their faces light up. It seems like no matter how bad you feel there is always a song that will perk you up or bring back good memories and give comfort. 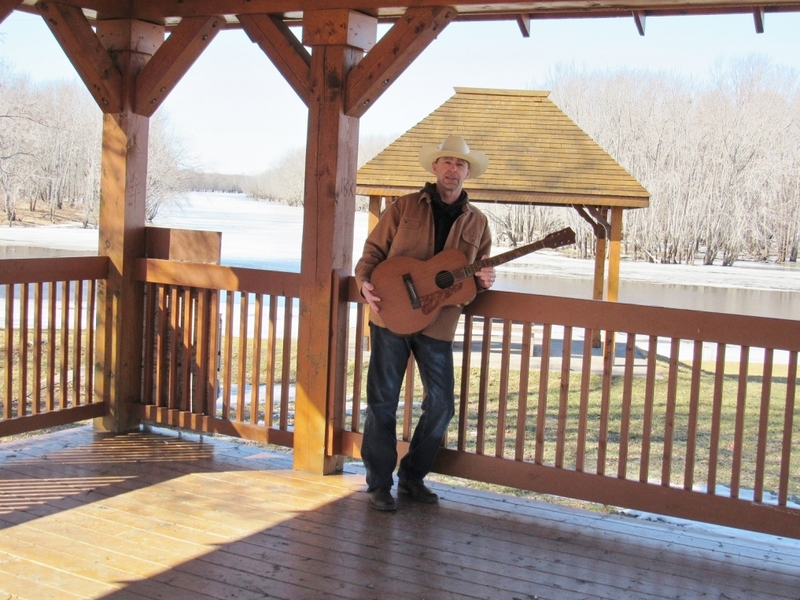 Recently I have started to write and record more upbeat songs and just released a new country gospel song called Jesus Is My Rock which is playing on CJRI radio in Fredericton, NB and Praise Radio in Spruce Grove, AB. My new album '18 Wheeler Fever' is on CD Baby for purchase and I have studio recorded a new album called 'Sea Of Life'. It was a humbling experience to perform on the Purple Hill Country Music Opry in Thorndale, ON and play with Canadian Hall of Famers.. In May 2015 I won an international Akademia Music Award out of Los Angeles for best country ballad and as a result my song Memories Of Dad is receiving airplay on radio stations around the world. That came as a surprise to me and I guess people like that song. It was written as a memory of my dad but it goes to all people who have lost their dad. I also had 5 of my songs place in semi finalist position in the UK Songwriting contest. The good Lord has given me this talent and it seems like I should not waste it. I am basically just a singer/songwriter and the rest is in God's hands and the fans who come out to hear me. It was certainly an honour to be selected as Best Gospel Artist 2016 and 2017 in Clays Country Radio and so humbling to be nominated for a 2016 Covenant Award by the Gospel Music Association of Canada for Jesus Is My Rock. In March 2019 I received a Global Music Award for my song 'Sea Of Life' and I feel very honoured and blessed. All I can say is thank you kindly to everyone who supports my music and I am following my dream.